Address: 1345 W Ocean Blvd. Address: 1341 W Ocean Blvd. 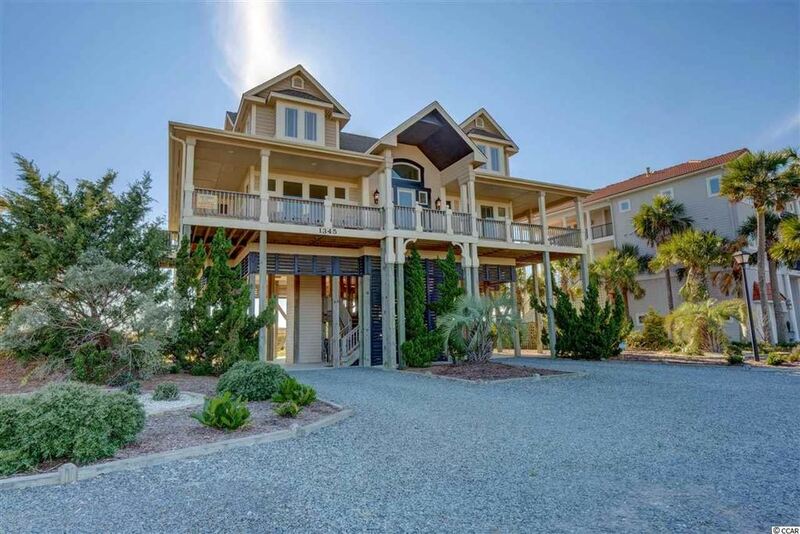 BREATHTAKING SUNSETS FROM THIS 5 BR 5 1/2 BA OCEANFRONT HAVEN located in the private gated community of Holden Beach West. This wonderful furnished property with an open living space shows off vaulted ceilings and amazing dark hardwood floors with walls of windows and splendid scenery. 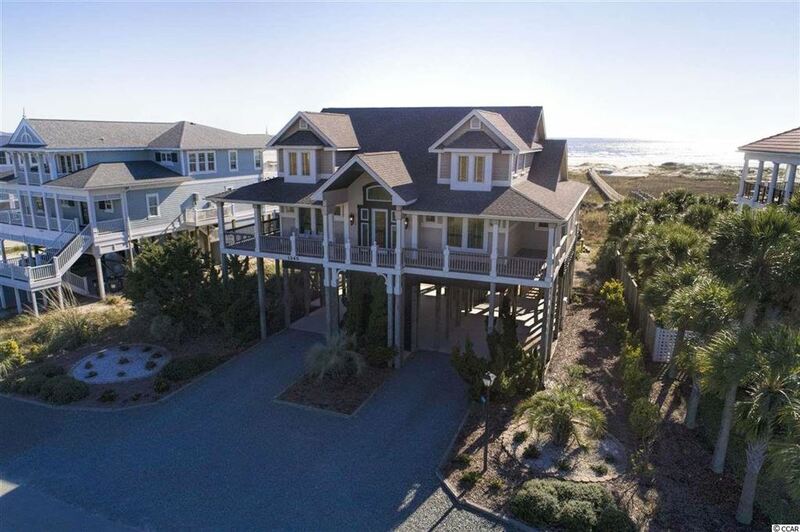 The living area features a lovely marble fireplace with gas logs, inviting wet bar with wine cooler and built-ins, and access to a sprawling deck with an unforgettable coastal landscape. A huge dining area adjoins a gorgeous bright kitchen highlighting spectacular windows with a view and offers lovely white cabinets, granite countertops, adorable farm sink, corner pantry, stainless steel appliances including double ovens, and large center island with cooktop and bar seating. An intimate suite with loads of windows and walk-in closet offers a welcoming bathroom with double vanity and oversized tiled shower with rain shower. Four other private bedrooms each feature a full bath. Outdoors enjoy the inviting in-ground heated pool with a large deck for sunbathing and entertaining guests, relax and unwind in the hot tub, or take on a game on the basketball court. Built in BBQ is perfect for outdoor cooking. 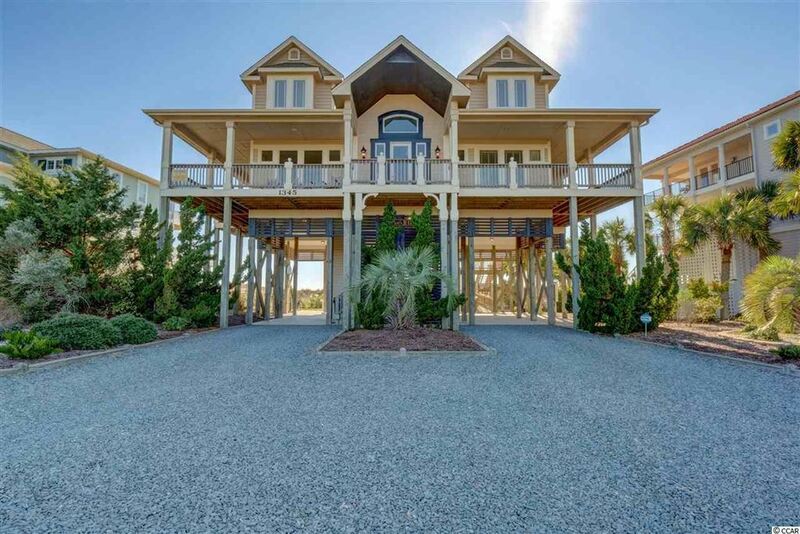 A long walkway extends to offer deeded beach access. Other features include elevator, surround sound, and two laundry closets. Address: 1326 W Ocean Blvd. Address: 256 W Ocean Blvd. Address: 1260 W Ocean Blvd. Address: 126 Sand Dollar St.